More than three million animals live in the endless steppes of the Serengeti National Park, which is interrupted by rock formations and rivers. About 35 animal species, including the “Big Five” (Elephant, Rhino, Buffalo, Lion and Leopard) live in these golden plains of the Serengeti. Every year at the beginning of the rainy season two million wildebeest, zebras and two hundred thousand gazelles start their migration over the long endless dry and dusty paths. But a little rainy will magically transform the land into an endless green carpet with wildflowers. 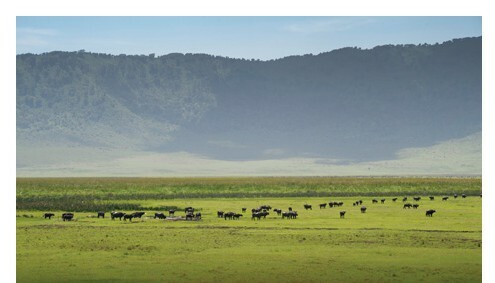 The Ngorongoro Crater is surrounded by steep walls. This vast amphitheater measures about 20 km in diameter. He is an amazing phenomenon. “One cannot properly describe the crater,” wrote Dr. Grzimek, “because there is nothing like it.” In this garden of beauty which can be reached by four-wheel vehicles, hundreds of thousands of animals are at home: Elephants, Buffaloes, Wildebeests, Gazelles, Zebras and Rhinos. Monkeys and predators such as Cheetahs, Hyenas and Lions can be observed in their natural environment. Discover below our individual Safaris. If you don't have much time but still want to see the most beautiful national parks in Tanzania, this variant offers Safari. You travel with private driver in a Land Cruiser. 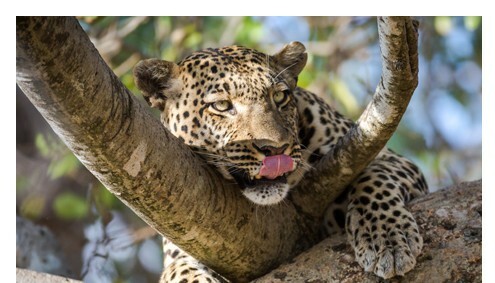 The three-day safari in two of the most spectacular national parks of Tanzania, Lake Manyara and Tarangire National Park offers a good chance to see the famous "Big Five": lion, rhino, elephant, buffalo and leopard. 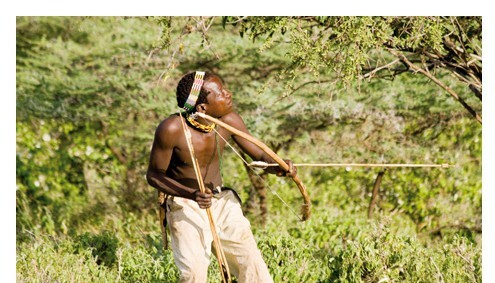 Learn interesting facts about the life of Hadzabe Bushmen and combine this with a safari in the Ngorongoro Crater. On Lake Eaysi live about 800 tribesmen Hadzabe. They succumbed plains game with bow and arrow. 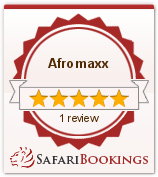 Once go on a safari and experience the African wildlife in the bush, is an achievable dream that we can meet from Afromaxx them. This Safari variant visit three of the most beautiful national parks in northern Tanzania. You can not decide? Which of the various National Park combinations is right for you? On this 8-day trip in comfortable Land Cruiser You will learn all the northern safari Tanzania National Parks. Surrounded by steep walls measures this huge Amphitheater about 20 km in diameter. He is an amazing phenomenon. In this garden of beauty which can be reached by four-wheel vehicles, to move hundreds of thousands of animals: elephants, buffaloes, wildebeests, gazelles, zebras and rhinos. Monkeys and predators such as cheetahs, hyenas and lions can be observed in their natural environment. As soon as you enter the Manyara National Park you are amazed by the dense vegetation and the amount of ancient trees, which create a home for plenty of birds and different kind of monkeys. Further into the park the forest turns lighter and transitions into grassy plains and swamps to the Manyara Salt Lake. There you will be thrilled by the Flamingos, Pelicans and Storks. Near the shore Zebras, Buffalos and Giraffes are eating the fresh grass. The southern end of the Lake Manyara National Park features hot Sulphur baths by the name of “Maji Moto”. The best known animals of the park are the tree climbing Lions, which spend the majority of their time stretched out on the branches of Acacia Trees. 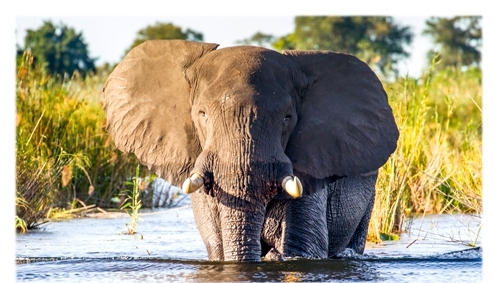 The Lake Manyara National Park is also home to larger Elephants herds, Antelopes and Hippos. The Serengeti is the most known National Park in the world. Within its borders more than 3 million animals are living. The size of the untouched Serengeti Land is incredibly large and varied from the endless pains over rocky copies to savanna land with Acacia trees. In the heart of the golden plains animals including the “Big Five” (Elephants, Ehinos, Buffaloes, Lions and Leopards) are at home. And every year about 2 Million Wildebeest and 200.000 Zebras start to migrate. Always with the aim to find new shoots of the short grass. Eland and Thomson’s gazelle also migrate but are not following the 2000 km long main migration. Mostly they just alternate between the plains and the woodlands. Lions, Leopards, Cheetah, Hyena and other smaller predators are moving in a smaller distance and crocodiles wait for there big turn when the Serengeti Migration crosses the river. 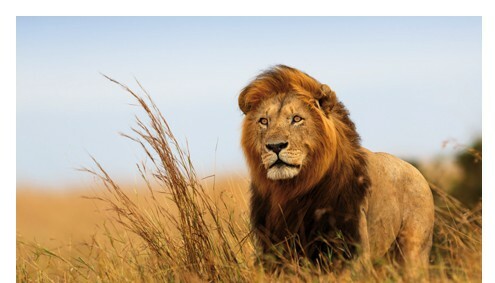 be found in the Serengeti. The year round water carrying Tarangire River is the lifeline of the 2600 km² large national park. The hilly savannah landscape with its umbrella Acacia Trees and Baobabs close to the park entrance changes into enormous grass plains towards the south. In the dry Saison the southern swamps turn into a green paradise with fresh grass for numerous species of animals. 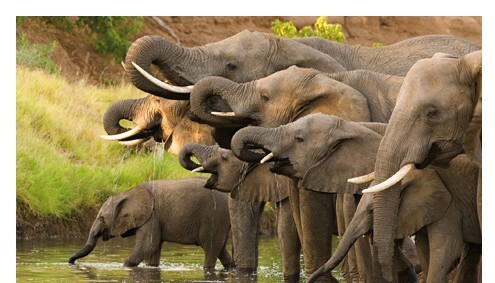 Tarangire National Park is known for its richness in species and huge Elephant population. About 550 different types of birds are living in the Tarangire National Park. There is no other place in the world that is a nesting place for this many species. 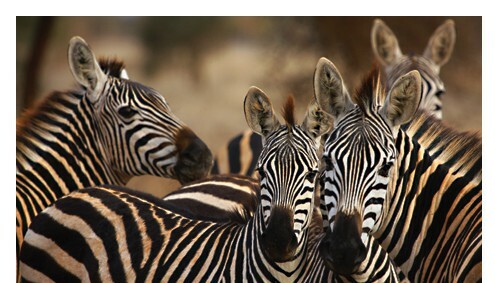 The Tarangire National Park is the preferred home of Zebra, Wildebeest and Ostrich. Also Impala Antelopes, Warthogs and Giraffes are seen often. This is the second smallest national park in Tanzania with a size of 137 km². But its diverse landscape cannot be beaten. A favorite place to visit during a Tanzania Safari to enjoy it opulent swamps at the Ngurdoto Crater and the grazing herds of buffalo and the Momella Lakes with their high salt content that causes, depending on its varying consistency, colorful glows from turquoise to moss green. 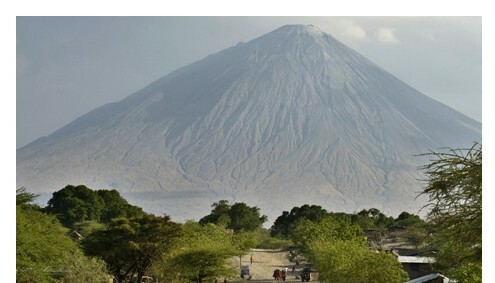 In addition the majestic height of Mount Meru dominates in the west. The Socialist Peak is with 4500 meters altitude is the highest point in Arusha National Park and a desired destination for mountain climbers. The ascent takes you through forests filled with blooming plants, moss covered tree tops and ferns which create an unforgettable image.